Craft: Nonfiction Book - Writer's Relief, Inc. 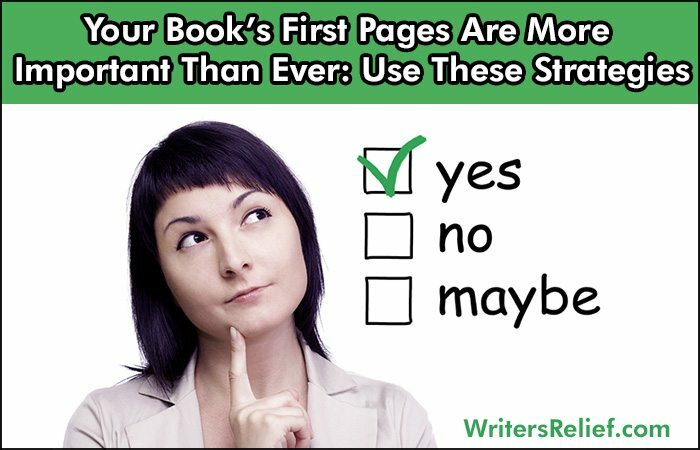 The first five pages of your novel or memoir may be the key to making a sale, nabbing an offer of representation from a literary agent, or getting a book deal from a traditional publisher. Literary agents and book editors are increasingly busy and want to be immediately wowed. People’s expectations for instant gratification have been changed by the Internet: Many people want an immediate emotional payoff with little investment. With most e-readers allowing people to download samples, more and more book buyers are basing the decision to buy on their feelings about a book’s opening pages. Come out of the gate running. Some new writers have a tendency to slow down their opening pages with too much backstory. Backstory tends to be presented as expository summary (aka, lots of “telling” without much action). Backstory looks backward—but it’s usually forward momentum that compels a reader to turn the page. Here are some techniques for dealing with backstory. Cut the prologue. 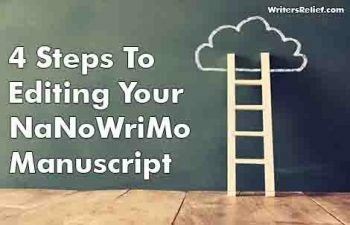 Many publishing industry pros (like literary agents and book editors) report that most prologues get cut from final drafts of published books. In fact, including a prologue is sometimes regarded as a “new writer” thing. If you’re going to include a prologue, be certain it absolutely must be there. Save the cat. In the world of Hollywood screenwriting, a “save the cat” moment happens when your main character does something bold and empathetic that shows how likable he or she is (you know, like climbing dangerously into a tree to save a kitten). Of course, some people are tired of save-the-cat scenes. The important thing is to open your book with something that makes your main character empathetic, bold, and utterly fascinating—even if your MC is a bad guy. Set the scene. A fascinating setting can immerse readers so deeply in an opening scene that they don’t even realize they’re reading—and we’re not just talking about pretty mountains or exotic worlds. Your setting could also offer a unique cultural landscape (whether a regional culture or merely the culture of a given family). Create momentum. Your opening pages are the springboard to the rest of your story. 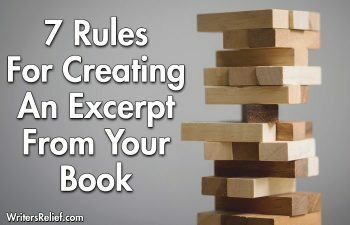 And while you may not want to launch readers directly into your main conflict within three pages, you can certainly hint at what’s to come (by creating a smaller, intermediate conflict that echoes your main conflict, for example). When you focus on conflict, you focus on dramatic tension. And that can make your opening pages impossible to put down. Writers of literary works know that their readers aren’t looking for “save the cat,” traditional storytelling, or plot-based stories. 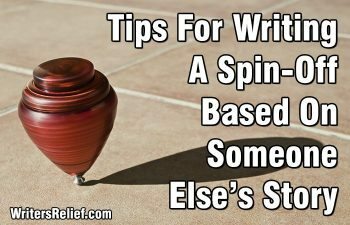 Instead, literary readers and writers tend to favor characterization and explorations of themes and ideas (as opposed to a page-turning plot). 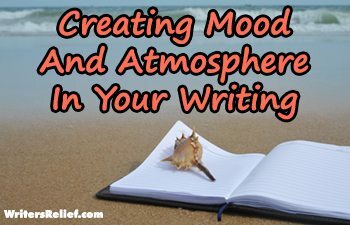 If you’re writing literary fiction, the success of your first five pages will most likely revolve around your voice, insight, originality, and characterization. Learn more about how to define literary fiction. QUESTION: What is your top tip for crafting great opening pages? Please share it with our readers in our comments section.